WARNINGS: Keep out of reach of children under 6 years of age. If you accidentally swallow more than used for brushing, seek PROFESSIONAL HELP or contact a POISON CONTROL center immediately. Aloe vera has long been treasured for its quality and versatility - including dental care. Your teeth will gleam with Forever Bright®, one of the best tooth gels on the market. Formulated for the entire family to use, Forever Bright® contains only the highest quality ingredients. It is also suitable for vegetarians since it contains no animal by-products. Natural peppermint and spearmint flavorings leave your mouth feeling fresh and clean. This product does not contain fluoride. The optimum percentage of aloe vera gel needed for effective cleaning was determined after extensive testing at a leading dental college in the US. Further input was sought from a large number of doctors and dentists before agreeing with the final specifications. The result is a tooth gel with a cleaning ability second to none, with an abrasiveness so low that it has been declared a polishing gel by an independent dental laboratory. With all the other benefits that aloe vera gel brings to the gums, here is a tooth gel preparation that not only matches the competition, but it also beats it hands down. 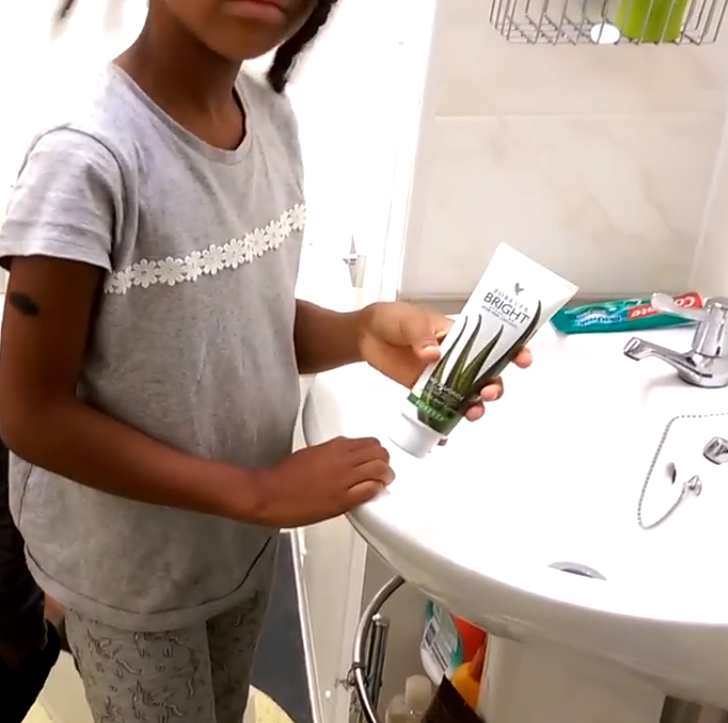 The Forever Bright Toothgel formulation was adopted after reviewing market research data, which demonstrated a growing preference amongst consumers for a gel, rather than a paste. After using one or two tubes of Forever Bright, most people are reluctant to use other brands. The great minty taste is popular with all the family, as its excellent cleaning abilities help to strengthen and protect your teeth and gums.